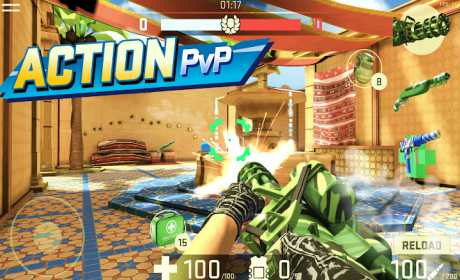 Combat Assault is a new hot PvP shooter with intense gameplay, lots of skins, weapons, rank system and the ability to level up characters through the skill tree. 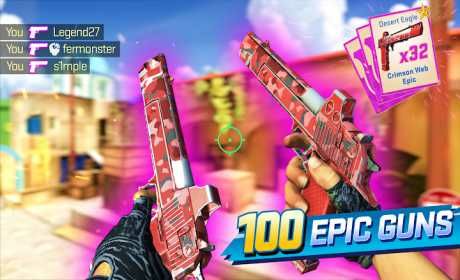 Choose a gun from a huge variety of weapons, jump in battles with players from around the world, pump your fighter to the maximum. Participate in team battles in the classic competitive style. 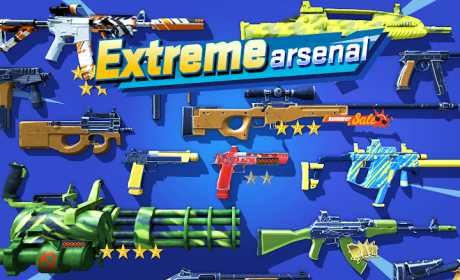 The game features over 30 different guns from classic AK-47, m4a4 and AWP to ultra powerful mini guns and shotguns. Armed to the teeth and go to the battle! Upgrade characters for better results, improve armor, life, reload time and much, much more, depends on the character class. As in classic shooters, we have a rank system, the more you win, the higher your rank and the stronger the opponents. Fight for a place in the leaderboard, raise the rank and improve your shooting skills. The game has a lot of skins, different colors for every taste. Brag about your purchase with the other players. Open the cases, get the skins, everything is simple and clear. Go through daily missions and receive daily bonuses like gold and top cases. Various maps, some areas seem familiar to you. Train shooting skills at the shooting range, play for time and hit the target as accurately as possible. Use the whole options of guns: machine guns, submachine guns, sniper rifles, pistols and so on. Do your best and defeat the enemies with lightning attacks! We optimized our game even for weak devices, engage in fights with players and do not be afraid that the phone will overheat. A very important point is the weapons upgrade, the better you are level up, the faster you defeat the opponents and take the first place in the leaderboard. Join into the game every day to get free bonuses, cases, gold and skins. Dear players! Our shooter is absolutely free to download, but some elements in the game can be paid. We will be very grateful to all feedback and suggestions on the project.